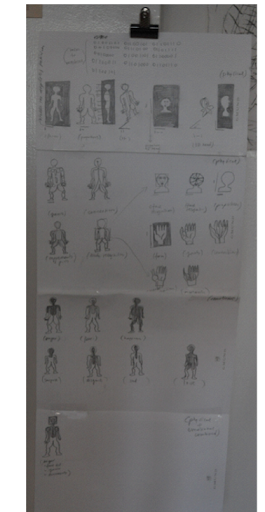 Explain and give an understanding of the human body to the future machines, so from a human to a future machine. The brief got renamed from Machine/Machine to Men>Machine. Initially I did some more specific research. 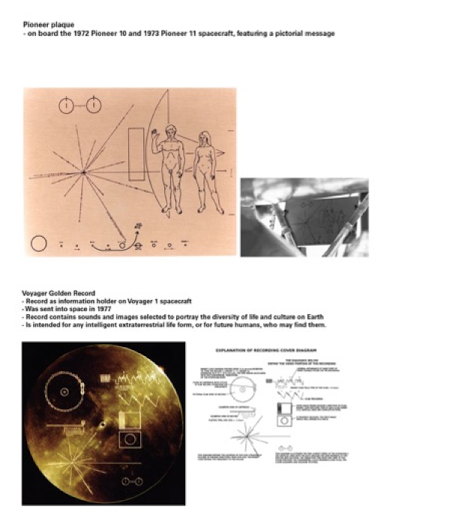 I was looking into the Voyager Golden Record and the Pioneer Plague; that were sent into space on spacecrafts for extraterrestrial life containing information about humans on earth – to see how they did not use text but the binary code language and signs to explain things. I was looking into how machines are given human features, in order for humans to feel a deeper connection. -“Breathing” light on Mac Books. Floppy Legs Portable Hard Drive from James Chambers on Vimeo. 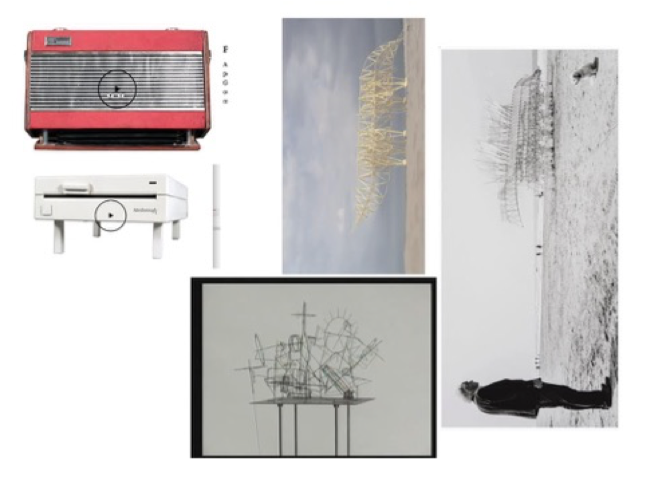 STRANDBEEST from Kaan on Vimeo. “To make my animals i try to make a new nature. I don’t want to copy the existing nature but it is hard to avoid that. Things like muscles, or the stomach, i didn’t want to make muscles or a stomach, but anatomy is universal, if life would start again, the stomach and the muscles would come back again. for instance, legs, they seem to be the best way to move things on beaches. legs are better than wheels […]. If you wanna make life, you could also have made static life, would have been a lot easier. But i like to make moving things. So so far, I am thinking of using binary code to describe things in the infographic. Other thoughts are: All machines are initially constructed by man, will they be made so that they can “understand/see” images? 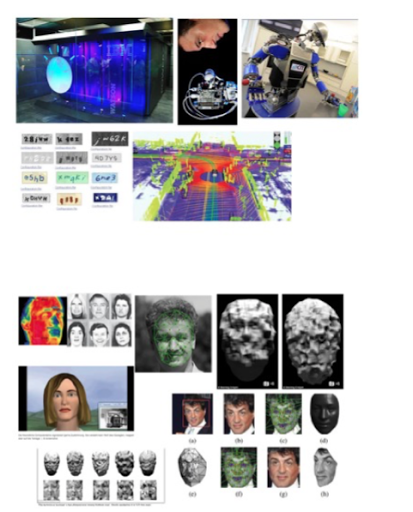 This is some more research on what machines can already do – I use this as visual inspiration for the infographic. 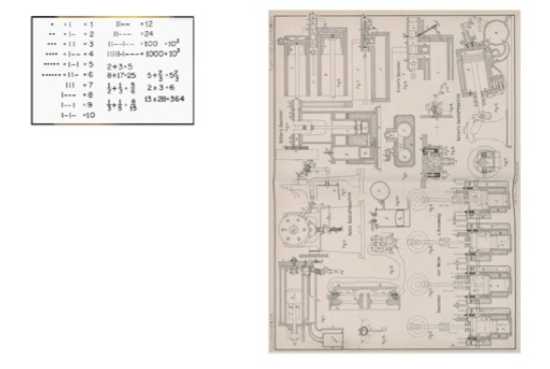 Visually I was looking into some old machine manuals, where machines get explained to humans. I want to use a similar style in my infographic, that will be used the other way around: humans get explained to the machine. 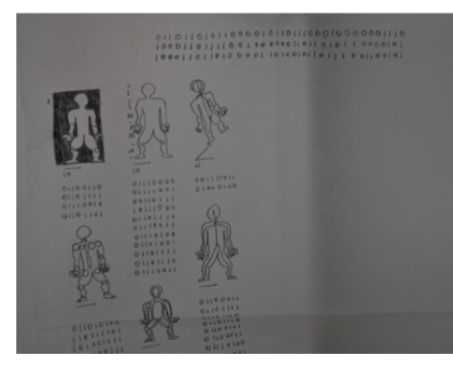 >>Material wise the infographic is on a transparent paper. I was thinking about what materials will be used in the future and how machines are going to get data and information, so probably there will be no physical piece and only a digital file. Thats why I put it on transparent paper to show that it will be “somehow present”, if that makes sense. 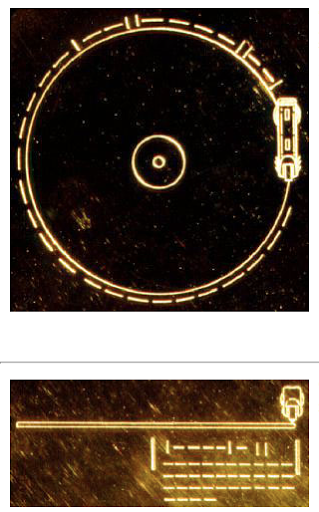 Otherwise I was thinking of doing it as an etching and using the plates that will be used for the etching (just like the plates they sent into space with information) as a part of the piece, so that the information is on a sturdy material that lasts for a long time. I was reading the book that you suggested “Speculative Everything” (brilliant! ), and I see my infographic as a speculative design piece. What I want to make people think about is, do we want this future machine world of machines with artificial intelligence that are smarter than humans? I was reading a lot about what futurologist say, and what will probably happen when the machines reach a certain level of intelligence, they get autonomous and make it impossible for humans to switch them off and eventually will kill humans as the atoms in peoples body can be used as resources.